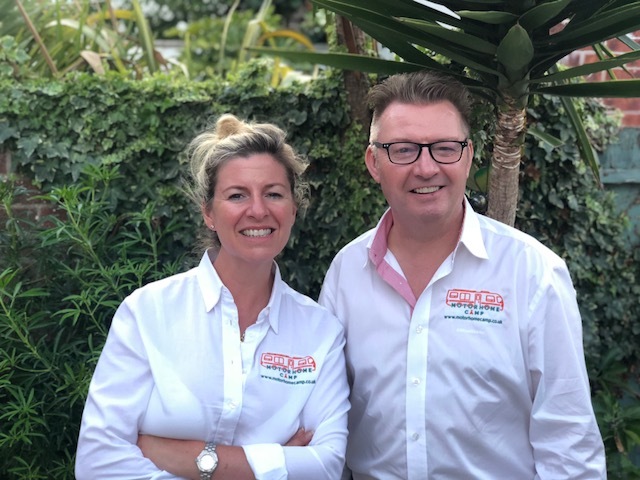 Motorhome Camp founders Stephen and Belinda Delaney have been enthusiastic campers and motorhome owners most of our lives, so we understand the needs and wants of our customers. Stephen has been buying and selling motorhomes for over 14 years, building an extensive knowledge of all brands of motorhomes and their widely varied layouts. He keeps a finger firmly on the pulse of their current market values, always finding the perfect motorhome for every customer. Belinda has been running her own successful business for a similar period of time within the service industry. Brokering Motorhomes and Campervans, in Portsmouth, Isle of Wight, Fareham, Southampton, New Forest, Bournemouth, Dorset, Chichester, Worthing, Brighton and beyond. Sell US your Motorhome ! Find out more about us and our brokerage/buying/selling options; and how we can help you sell your motorhome. Swift Sundance 630G 6 Berth with Huge Garage storage space Motorhome. 2004 54 plate on the Fiat 2.8 with only 46,000 miles from New and in Superb Clean Condition both internally and externally. Bessacarr E410 Luxury 2 Berth Compact 5.75m Long Motorhome for Sale with End Kitchen. 2007 Fiat 2.2 Multijet with 5 speed manual gearbox, with the Newer Shape Cab. 2 Belted Seats. The Cab seats Swivel to become part of the Lounge that includes 2 very comfortable Sofas opposite each other. These then easily convert to a Good size Double Bed. Located in Hayling Island, Hants. Auto-Trail Cheyenne 840D SE 4 Berth Motorhome Fiat 3.0 litre 160 bhp with Rear Island (walk around) Bed. 2007 57 plate. With only 42,300 miles from New. Located in Portsmouth, Hants. This Superb example is in immaculate condition for the age. The upholstery is clean and bright, and we have a Roof Mounted Dometic Air Conditioning unit in the Habitation area, as well as Cab Air Conditioning. Auto-Sleeper Executive 2007 2 + 2 Berth Luxury Motorhome. Peugeot 2.8 Hdi with Only 1 owner from New with Full Service History, and just 46,000 miles. This is primarily a 2 Berth Motorhome which has an additional sleeping area above the cab for up to 2 small children, or a small adult. The beauty of this classic iconic model is that it is Only 5.7m long and 2.18m wide to enable you to park in a normal car park space, or on a compact drive. Located nr. Fareham, Hants. Volkswagen T4 Autohomes Karisma 2 Berth Campervan 1997 with Only 27,900 miles from New. What a great opportunity to purchase such a rare Campervan that is as good as this. Similar To the Auto sleeper Toapz. Complete with TOILET and Shower Room as well as a Kitchen with a Gas Grill, Hob, Sink, drainer etc. Located nr Waterlooville, Hants. Full Service History and always Garaged and in Wonderful Original condition for the year. Benimar Mileo 294 2.3 litre 150 bhp with 4 Berths, 4 Seatbelts, and an Island Walk Around Bed + Drop Down Double Bed . Stunning Benimar Motorhome with Only 7,500 miles from New. 2012 Immaculate throughout and with Only 10,700 miles from New and FSH. Wow, what a Fabulous quality Motorhome. This really is a multi purpose Motorhome that has most things that you would wish for in a Motorhome. Located in Portsmouth, Hants. Elddis Firestorm 300 Barrons Special Edition 5 Berth, 4 Seatbelts, 2005 Motorhome For Sale. Peugeot 2.2 Hdi engine with Cruise Control. Service History and Recently Serviced including New Tyres all round and New front brakes. With Only 35,293 miles from New. This is a Beautifully Clean example with an Open and Spacious interior Layout, although Compact on the outside. Auto-Sleeper Nuevo 2 Berth Peugeot 2.2 HDI Motorhome with End Kitchen and Shower room. This is the Highly desirable, Award winning model which is Only 5.99 m long and features the walk round Island Kitchen, Huge Shower Room and the comfortable Electric drop down Double bed that comes down really low, so that you can easily get in and out of it. Elnagh Baron 48 Peugeot 2.2 hdi, 7 Berth Family Motorhome with 6 Seat Belts in Fabulous Condition. 2008. A Wonderful opportunity to purchase an Immaculately Clean, Superbly Maintained Quality Family Motorhome. Having Covered only 32,000 miles from New and having flown through a Recent Habitation check, and with lots of Service History. Auto-Trail Excel 640G Fiat 2.2 Multi Jet 4 Berth Motorhome in Exceptional Condition with FSH, and Only 19,000 miles from New. This wonderfully Clean and Bright model has the advantage of a Spacious Garage to house your Table, Chairs, Bbq, and folding electric bikes or motability scooter etc. Westfalia Nugget 2016 LHD 4 Berth Campervan, based on the economical Ford 2.2tdci engine with 5 Seat Belts in Total, and 2 Double beds. Only 8,000 miles from New. This Superb very Compact, but Ultra spacious Pop Top Westfalia allows you to Stand Up and Walk around in the Kitchen even when Both Double Beds are in use, and there is even a Portaloo Toilet on board. Located in Hayling Island, which is between Portsmouth and Chichester in Hampshire. Don't miss out! Get our latest motorhome deals direct to your inbox. Sign up and we’ll send you occasional offers on our latest motorhomes and services. Thanks! Expect some super useful information from us shortly. Just a few lines to say thank you for the fair way that you dealt with us today, it was a pleasure doing business with you. From beginning to end we felt completely confident in your honesty and integrity. We were delighted with the sale of our Cathago Motor home. Having tried to sell it for almost a year we handed the sale over to Stephen and it was sold within a week . Stephen handled everything which took the pressure from us, everything was done in a professional manner from start to finish. We would highly recommend Motorhome Camp as the way to go if you are wanting to sell or purchase your Motorhome. We sold our American Motorhome in a matter weeks thanks to the efficient service of Stephen and Belinda. Extremely professional and highly recommended. Hi Stephen & Belinda, thought I’d send you over a review to use on your website. We cannot thank you enough for all of your guidance and assistance with the recent sale of our Motorhome. Excellent service from start to finish. Would just like to say Stephen sold our motor home was very professional from start to finish we didn't want all the hassle that goes with the selling but Stephen took all the stress away so if you want hassle free Stephen has our full recommendation and we wouldn't hesitate to use him again. Just a note Stephen to thank you for your superb professionalism in the sale of my Motorhome and exceeding my expectations on the figure that you obtained for me. Thank you Stephen for your help and professionalism when handling the sale of my Concorde Concerto Motorhome. You kept me in the loop at all stages and made the whole process seamless and trouble free. I could not have wished for a better person to handle this transaction. Take a celebratory photo of you in front of your new motorhome for social media bragging rights! Request a callback or send us an email using the form below! Thank you! Stephen or Belinda will be in touch with you shortly.